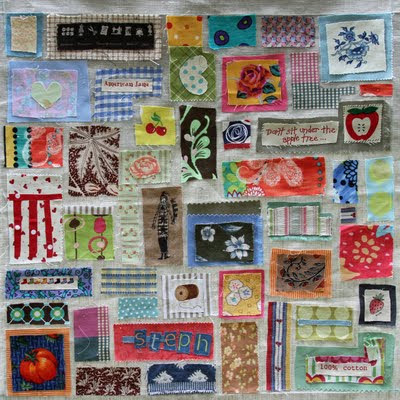 This is Stephanie Hughes' raw-edge applique quilt, shown on A Ditchin' Time. She uses buttons, beads and embroidery too. Good idea! She also sells Green Goose car trash bags on Etsy. Stephanie lives in Maryland.